When was the last play you saw, written? 10 years ago? 20 years ago? 100 years ago? How about 2400 years ago? Medea is a classic ancient Greek Tragedy written by Euripides in 431 BC. “Hell hath no fury like a woman scorned” can describe this play in one line. The play tells the story of Medea who has been betrayed by her husband, Jason who has taken fancy of the king Creon’s daughter, Glauce. Fearing his daughter’s safety and disruption of her marriage to Jason, king orders Medea to be sent into exile. However, she pleads for one day’s delay and she uses it to extract her revenge on everyone involved. 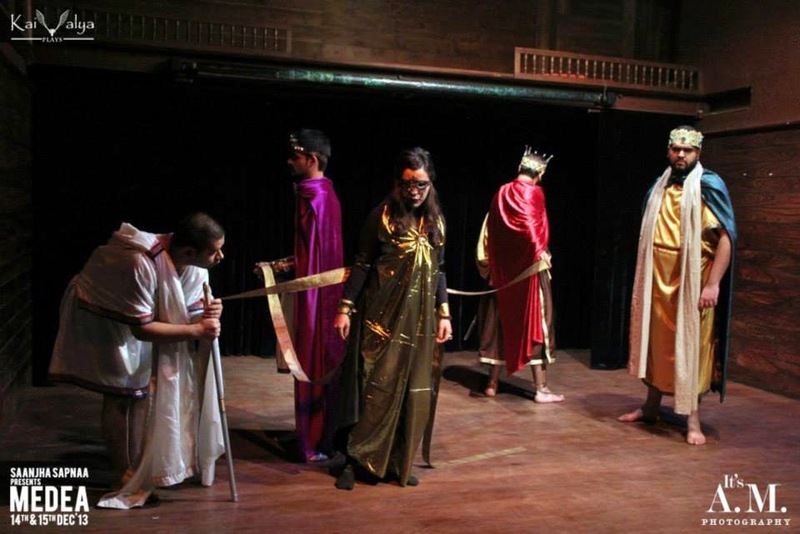 Directed by Kanchan Ujjal Singh, this play might not appeal to all. 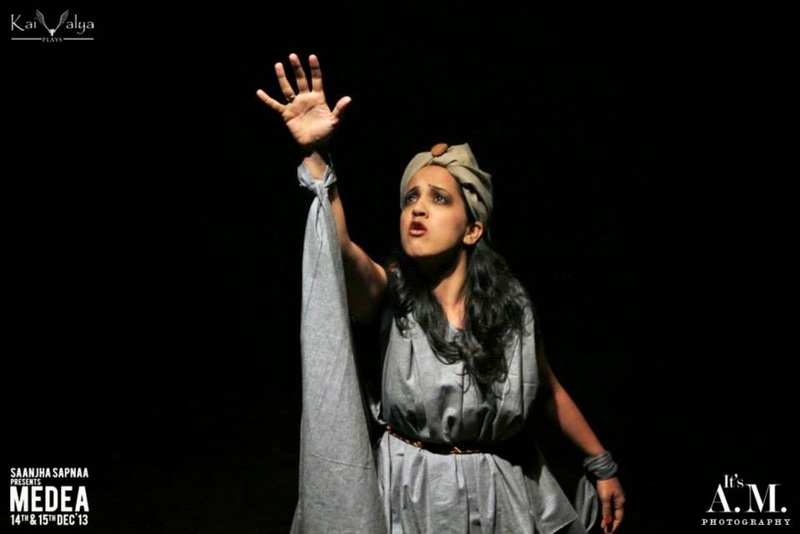 Sonamm Sharma, playing the role of Medea, gets to depth of character’s grief and brings out the deepest emotions of her grief, vengeance and anger. This play is true drama with script being expressed with just not the mouth but with hands, eyes and the whole body. There is no place for satire, humor or even a mild joke in a greek tragedy. Only emotions the characters know are anger and envy. Performances are done with conviction and energy. I think however, a little bit of more practice and coordination could improve the presentation. The one I saw was their very first performance and having met the cast, I know they are working on it. While the story is told in many forms several times, the emotions explored are very complex.